Please see the email and letter that Aimee Grace and I sent to Councilmember Cheh requesting additional funds to complete both Potomac Avenue pocket parks. If you have an interest in seeing these parks happen in the near future, please express your support to Councilmembers Cheh and Allen this weekend. 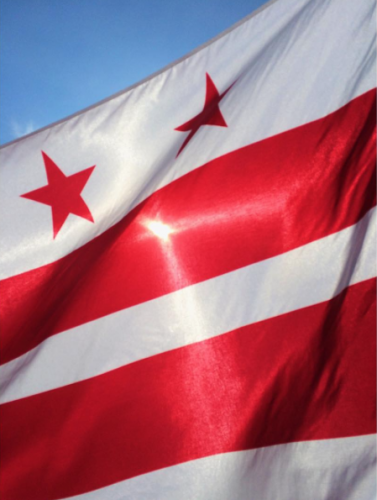 The DC Council is making decisions now about next years budget, and if you believe that the redevelopment of these parks would improve our community and children’s safety, then please reach out by email to share your support. At the Transportation Committee meeting on May 2, we will have a presentation on the new Circulator routes, which cross Capitol Hill, and a discussion on traffic calming studies underway and proposed. The ABC Committee (May 4) has a full agenda of license renewals, including those for Capitol Hill Wine & Spirits, Albert’s Liquor, World Wine & Spirits, Gandel’s Liquors, JJ Mutt Wine & Spirits, Hayden’s, and Chat’s Liquors. The HIll East Task Force will report out on its April 23rd meeting at the May 10 meeting. The complete draft agenda with decision whether there will be a P&Z May 1 meeting should be available at www.anc6b.org by this weekend. Note to those who had signed up for automatic messages on ANC website postings: This system has been “down” for several months but the ANC Chair will attempt to get it back in operation. The Long & Foster Realty office at Pennsylvania Ave SE & 10th Street is offering free shredding on Saturday, April 28. I don’t know the actual times but the signs saving space for the shredding truck are effective from 8am to 1pm. Eastern Market Main Street Night at the Market, Sunday April 29, 6pm to 9pm at North Hall. Info & tickets (online $25; at the door $30) here. Literary Hill Bookfest, Sunday May 6. I had to hunt around on the website but finally discovered the event is at the North Hall of Eastern Market from 11am to 3pm. The Dept of Public Works (DPW) has set up a new website https://zerowaste.dc.gov/ where you can get all and any information on reducing waste, recycling, composting, and special waste handling. Plus residential trash collection schedules. The website has a search function for any waste type. I asked about a fire extinguisher and the answer was to take it to Fort Totten. It could not tell me what to do with lumber, though. But, there is a construction waste and debris category. The next stages of Penn11 construction are underway; installing exterior walls and windows. Project completion is estimated by mid-November with move ins by the end of the year. Meanwhile, the Frager’s Garden Centerhas moved to the corner of 12th Street and Pennsylvania Avenue SE. Pictures and article here at the Hill Rag.